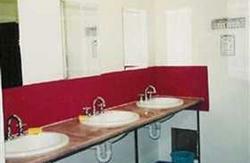 The Corkman is a small and homely hostel with only 24 beds. Situated in leafy Carlton, with a perfect location between two small parks and situated just outside the buzz of the Main City. Only 5 minutes walk to Victoria market, 10min walk to CBD, 5 min walk to the famous Lygon Street restaurant area and 5 min walk to Melbourne University. We aim to provide clean, affordable accommodation, and pride ourselves on our genuine Irish welcome ! 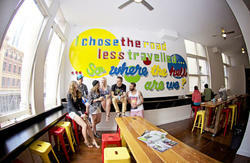 Minimum age to stay at The Corkman Hostel is 18 years. No Children or Infants allowed. Current weekly rate $180. Please note that we are not a 24 hour reception. See you here at The Corkman ! 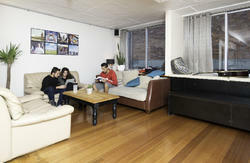 Located on the corner of Leicester Street and Pelham Street directly opposite Melbourne Uni Law School. Two blocks north of the Victoria Market on Leicester Street ,which runs off of Victoria Street. If walking from the CBD walk straight up Elizabeth Street until you get to the Victoria Street Junction by Queen Victoria Markets. From their head across and up Leicester Street. Just two blocks up we are on the corner of Leicester and Pelham Street. Trams number 19, 57 and 59 can take you up Elizabeth Street to Queen Victoria Market, but from there you will have to walk up Leicester Street. 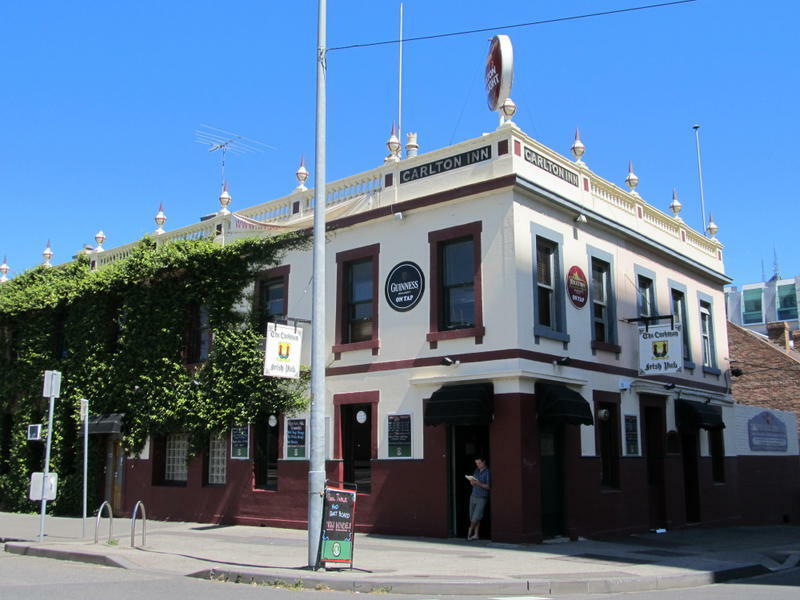 Situated above the Corkman Irish Pub, the hostel entrance is down the Pelham Street side of the building. You can also enquire at the bar for any help.